Brandenburg an der Havel is a town nearby Berlin and is located in a large inland water sports area. The city centre has much to offer – a beautiful historic centre and countless parks and greens. 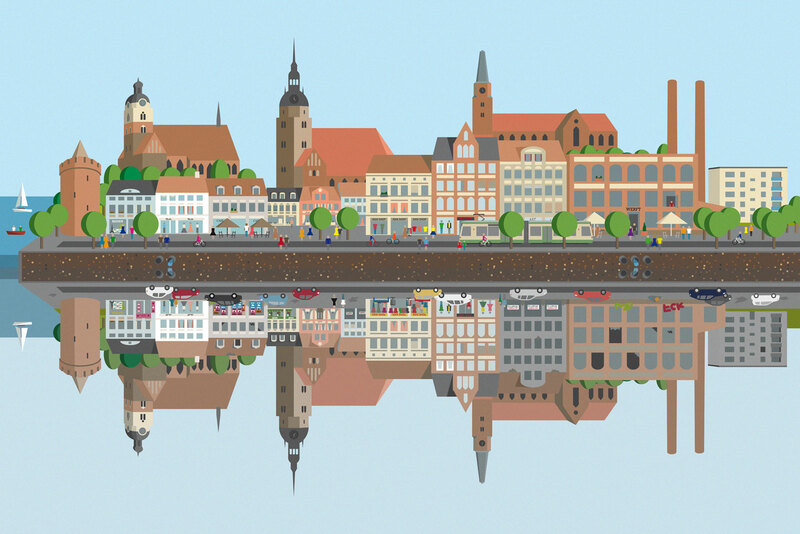 But the city center is facing problems that almost all German cities have to face. Online shopping and department stores that are forced to shut their doors forever. This results in empty buildings and a decreasing choice and variety of products. 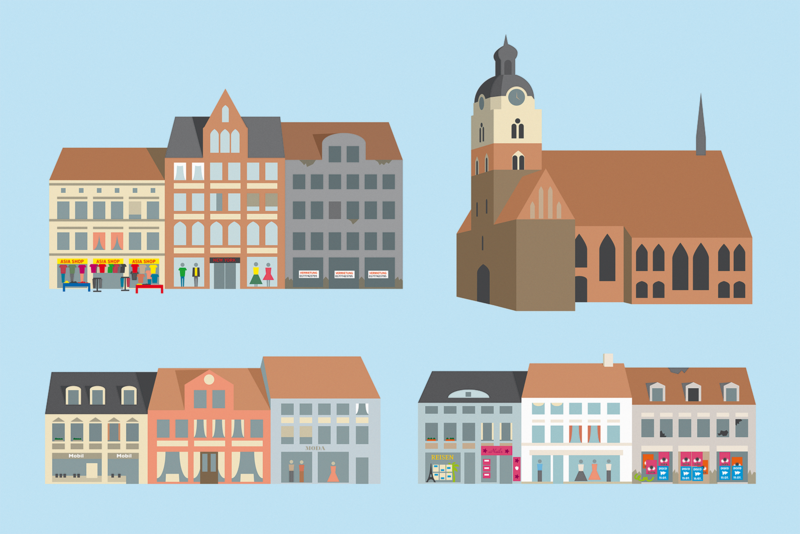 These illustrations were created for a fact sheet about the current situation in the city centre and for a style guide. To improve the shopping atmosphere and beautifying the streets in the city centre.